TechWomen - what is it? And why you should care! I had the pleasure to participate on a Google Hangout with Eileen Brewer, who represents TechWomen. What IS TechWomen, you ask? TechWomen is an organization that empowers, connects, and supports the next generation of women leaders in science, technology, engineering, and mathematics (STEM) from Africa, Central Asia, and the Middle East by providing them the access and opportunity needed to advance their careers, pursue their dreams, and inspire women and girls in their communities. They do this through a mentoring program in the US, after a rigorous vetting process for the potential mentees. Eileen Brewer is a director with Symantec Corporation, who has been volunteering as a mentor through the TechWomen organization here in Silicon Valley. Please take a few minutes to find out more about TechWomen as you watch this video. Find out more about TechWomen through their website, too. If you're in the San Francisco Bay Area, you can get more directly involved! Notable Women in Tech – supporting “educators around the world who are working to inspire women and girls to consider or continue careers in computing”. Thanks to Rushton Hurley, the president of the Rotary eClub of Silicon Valley, of which I am also a member. Rushton leads interesting programs each week on a wide variety of topics, all in support of Rotary's motto "Service Above Self." The convenience of having a smartphone or tablet is multiplied by the fact it has a camera. We use the camera for more than recording family events and nature’s beauty – the flash makes a great flashlight and its ability to zoom doubles as a magnifier. It's a multi-functional tool that has great value in the classroom too. The iPad Photo app may be one of the under-rated native apps on the tablet. Spending a little time on organization on a semi-regular basis is not a bad idea. It is a sleek way to curate those treasured images. Albums are easy to make and a great way to memorialize class parties, field trips, presentations and other student events. Taking some time to discuss proper photography techniques with students is a good way to ensure successful outcomes. The Rule of Three, backlighting, shadows, and movement are all issues that can make or break a photo. Images can also be integrated into student work as a way for them to show what they know. If you are in a Google App for Education school, any image in the Photos app can be uploaded to Google Drive. Students who create work in apps that save to Photos (Shadow Puppets, for example) can easily upload that work to Drive (or Google Classroom) to share, add to other work, or simply store. This is especially important in classroom where many students use the same tablet. If you have other photo apps your students like to use, let us know! Top Posts - May 2015: Formative assessment, 1:1 tips, Libraries, Summer planning & more! 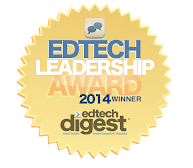 Here are Communicate..Create..Edtech's top May posts! Thanks for reading!! !